Update: It looks like the Smash Mouth concert scheduled for Thursday, Dec. 21 at the Fremont Theater was canceled. The Fremont posted this note about it on its Facebook page: "It is with great regret we must inform you that Smash Mouth's performance for tonight's show at the Fremont Theater has been cancelled. We have been informed lead singer Steve Hawell is unable to perform tonight, due to illness. We send our best wishes and a speedy recovery. We apologize for the inconvenience and thank you for your understanding. All refunds will get processed accordingly." More than two weeks into the Thomas Fire, firefighters might finally see a little bit of help from the weather, as winds begin to die down a little bit and humidity increases. The inferno had swallowed at least 271,000 acres in Ventura and Santa Barbara counties as of Dec. 19, torched 757 single family homes, two multiple residence structures, and two mixed commercial/residential buildings. Pegged as the third largest wildfire in state history (as of Dec. 19), the blaze took the life of San Diego area resident and Cal Fire engineer 32-year-old Cory Iverson on Dec. 14. Iverson leaves behind a pregnant wife and a 2-year-old daughter. I realize this isn't the most orthodox way to open a music column that usually rides the line between entertaining snark, gushing adoration, and pure information—but it's important. And here's why: If you're in town over the upcoming long holiday weekend, you can help fire victims simply by attending one of two (or both) benefit concerts scheduled. The first is slated for Friday, Dec. 22, at SLO Brew. What was originally pegged as a Bad Santa Christmas Party with local hardrockers Eat the Wolf and the California soul of the Sam Sharp Band is now also a Fire Relief Benefit Concert (10 p.m.; 21-and-over; $10). "With the devastating fires ravishing Santa Barbara and Ventura counties, SLO Brew has teamed up with Ernie Ball to raise money for the family of the fallen firefighter Cory Iverson and the Ventura United Way," SLO Brew wrote on its website. "SLO Brew and Ernie Ball will match monies raised by the door cover. Both Eat the World and the Sam Sharp Band have donated their booking fees to support the Iverson family." There will be a Santa costume contest so go "dressed in your naughtiest Santa, Mrs. Claus, or elf outfit and get ready to ROCK your face off." The second benefit contest is set for Saturday, Dec. 23, at Otter Rock Café in Morro Bay from noon until close. Owner Jaime Parker is re-opening the spot "to raise money for the folks in Ventura and Santa Barbara counties." "I raised $5,000 in five hours for [Hurricane] Katrina; I'm trying to raise $10,000 in 10 hours for this," Parker told New Times. "I have $2,000 so far, so I know I can raise $10,000." She said it's important to raise money for people who won't have a place to go for Christmas, either because they lost their homes or because they are still evacuated. There will be live music by Three 4 All, Mud On The Tire, Donna Lu and Matthew Kim, The Croon Dogs, Bobby Santa Cruz and Friends, Cuesta Ridge, and Kenny Lee Lewis (from The Steve Miller Band). With the suggested $15 donation, you get a raffle ticket entered into a drawing for a guitar donated by Central Coast Music. You can also enter a 50/50 Drawing and participate in a silent auction. The goal is to raise that $10k for the American Red Cross and United Way of Greater Los Angeles. "I have a roof over my head and they don't, so let's help them," Parker said. "It's just heartbreaking." Hey, early 30-somethings, now's the time to relive that teen angst! And no, I'm not referring to those alternative rock sounds of jaded-depressed youth that Nirvana brought you. I'm talkin' 'bout the upbeat styling's of Smash Mouth that you bobbed your head to as you aimlessly drove your friends to lunch off campus (back when the state of California allowed 16-year-olds to drive their friends around) because "what's wrong with taking the back streets." 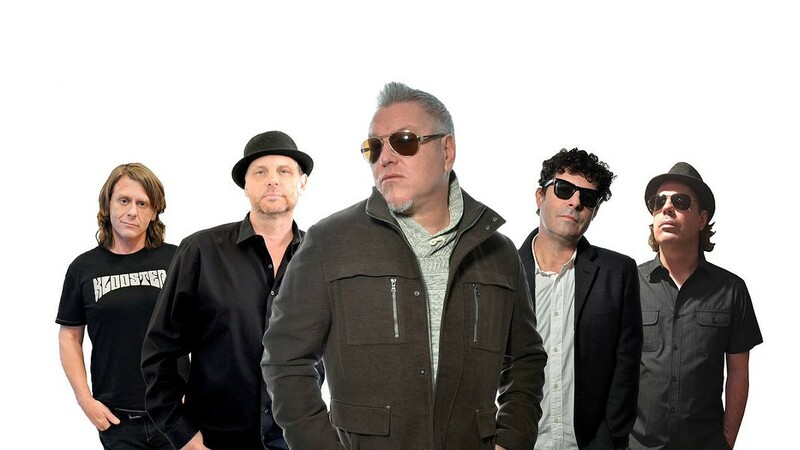 SMASH THIS Big hitter of the late '90s Smash Mouth comes to The Fremont Theater on Thursday, Dec. 21, at 9 p.m. Yes! Relive that transition from junior high to high school with late '90s bob-your-head pop-rock hits like "Walkin' on The Sun," "All-Star," and "Can't Get Enough of You Baby" at the Fremont Theater on Thursday, Dec. 21 (9 p.m.; all ages; $27.27; Boo Boo Records, eventbrite.com). This year marks the 20th since Smash Mouth released the weirdly named album Fush Yu Mang, which is apparently a slurred phrase uttered by Al Pacino's character in a drunken Scarface scene. If you can guess what it really stands for, gold stars for you! Hint: It's an f-bomb. The San Jose rockers, fronted by Steve Harwell (vocals), saw their debut single off the album shoot to No. 1 on the Billboard charts, boosting album sales to more than 3 million copies. The followup, Astrolounge, nearly doubled the sales of their freshman album! World-class drummer Randy Cooke and guitarist Sam Eigen will hit the Fremont stage with founding members Harwell and Paul DeLisle and longtime keyboardist Michael Klooster. "This new Smash Mouth lineup is pure firepower," band manager Robert Hayes said in press material. "You're simply going to have to see it to believe it." Join Luvlab Productions at The Siren in Morro Bay on Thursday, Dec. 21, for A Surreal Solstice, featuring the beats and soaring melodies of Central Coast favorite TROPO, the multi-instrumental Santa Cruz-based KR3TURE, SLO native Kyra Joseph spinning funk and disco-house beats, and Big Sur rockers The Wakefuls from 7:30 p.m. to 1 a.m. ($12 in advance; $17 at the door; doors open at 7 p.m.). CHRISTMAS LEGEND Cambria native and three-time Grammy nominee David Arkenstone brings the Winter Solstice to life at Painted Sky Studios Thursday, Dec. 21, at 7:30 p.m.
"TROPO compels their audience to dig deep within themselves for a reciprocal and energetic dance set," according to press materials. "TROPO infuses the human element in their all original, uplifting, and completely live performances." The event promises to give attendees a taste of Luvlab's annual music and arts festival Big Surreal, and will feature live visual art by Emily Tayman, Jordan Quintero, and Forever Stoked. Ten percent of ticket sales will be donated to the Guerrilla Gardening Club, a nonprofit educational program based out of Morro Bay "teaching sustainable nonconformity." Also at The Siren over Christmas weekend is the bluegrass and American roots music of The Bryan Titus Trio on Friday, Dec. 22 (free; 9 p.m.). 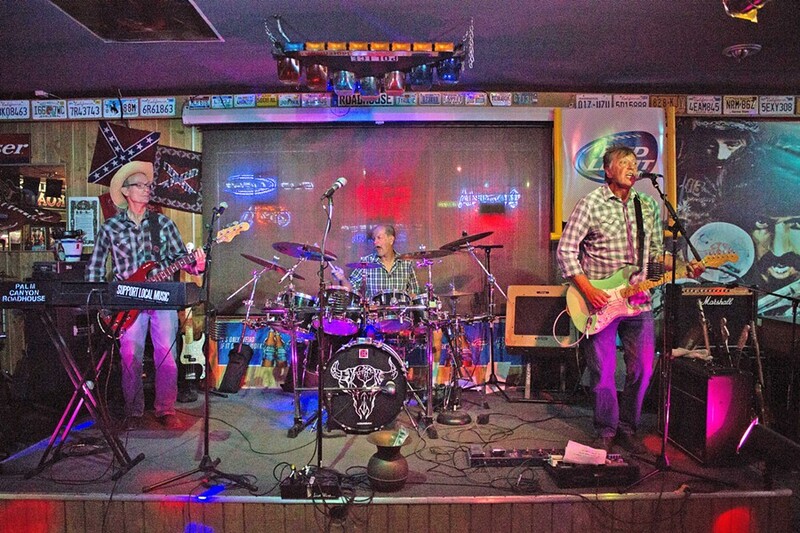 On Saturday, Dec. 23, you can hear the alt rock, folk pop sounds of Mosey Bravo (free, 3 to 6 p.m.) and fingerpicking groovy rock from the Erick Tyler Band (free; 9 p.m.). 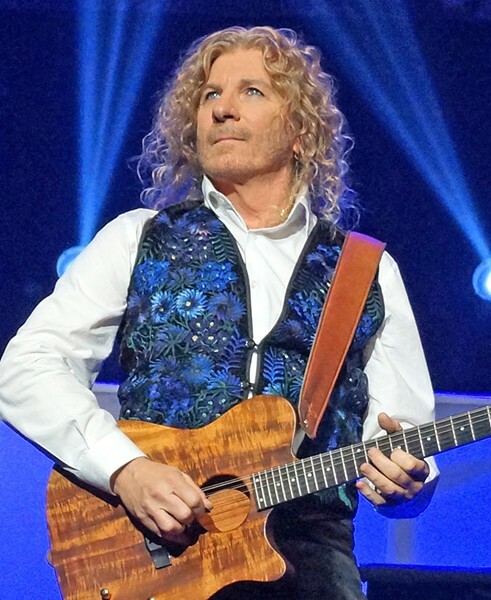 David Arkenstone's Winter Fantasy will be in Cambria on the Winter Solstice, Thursday, Dec. 21 at Painted sky Studios (7:30 p.m.; $15; Boo Boo Records, Ball and Skein, or call Painted Sky for reservations at (805) 927-8330). "Winter Fantasy takes everyone 'around the world one winter's eve.' The show is a magical evening of festive original and traditional holiday tunes for the whole family," Arkenstone said in press materials. "I'm excited about doing the show at Painted Sky Studios in this beautiful and inspiring hamlet that is my own backyard ... especially on the winter solstice!" The three-time Grammy nominee's band of world muscisians includes Grammy-winning flutist Susan Craig Winsberg, pop violinist Natasha Ratz, keyboardist Doug Tidstrand, accordionist Gee Rabe, and creative world music percussionists John Wakefield and Joshua Amyx. ENCORE Mosey Bravo will folk rock your world at The Siren on Saturday, Dec. 23, from 3 to 6 p.m.
Not feeling those Christmas-inspired tunes? Well, you could head up to Paso Robles for the Pour House Christmas Party with the funky, bluesy, jazzy, rock 'n' roll of Erin and the Earthquakes on Friday, Dec. 22, at 8:30 p.m. or to the Libertine Pub in Morro Bay for the outlaw country sounds of the Wichita Trucker Christmas Show at 8 p.m. on Saturday, Dec. 23. Editor Camillia Lanham is taking over while Glen Starkey takes his annual and extremely long holiday vacation. Keep up with Glen Starkey via Twitter at twitter.com/glenstarkey, friend him at facebook.com/glenstarkey, or contact him at gstarkey@newtimesslo.com.